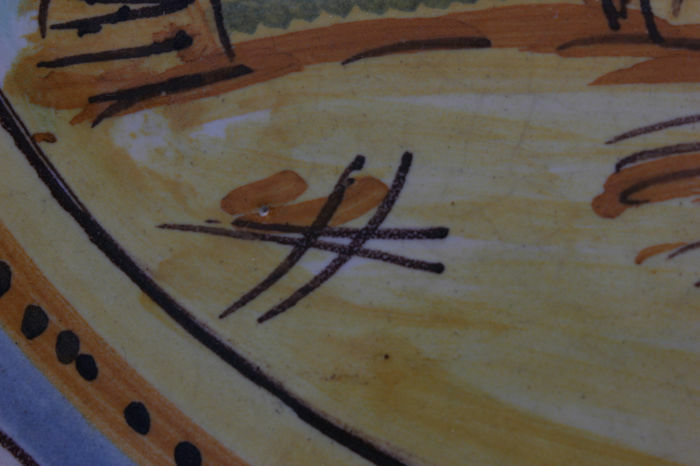 The ancient artefacts made in the past centuries by the artisans of the small lands of ceramics in Apulia are pride of the whole Italy. 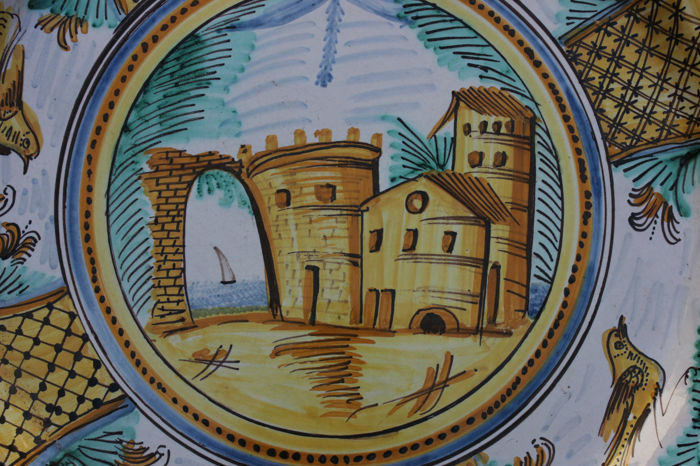 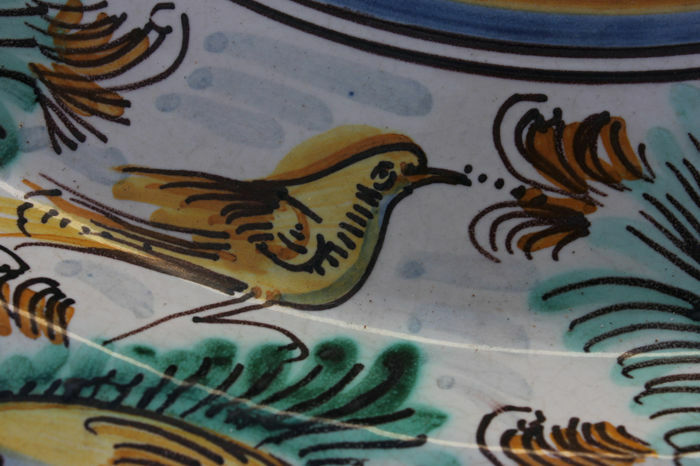 From one of them, Grottaglie, in the province of Taranto, come almost all the most beautiful majolica items. 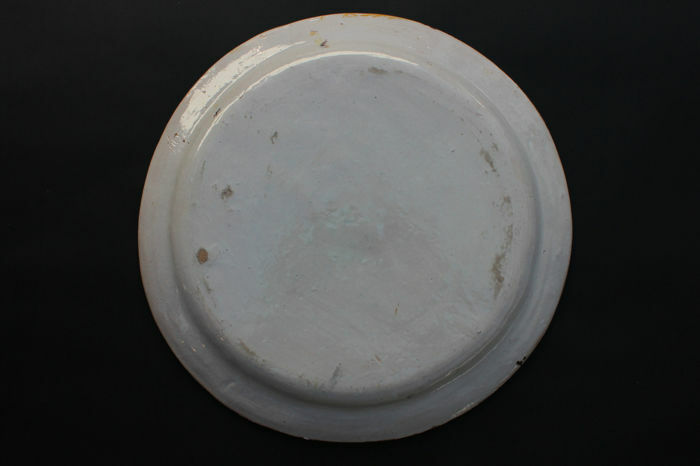 This elegant plate with a diameter of 52 cm is very special for its iconography and important for its attribution to a famous local artist. 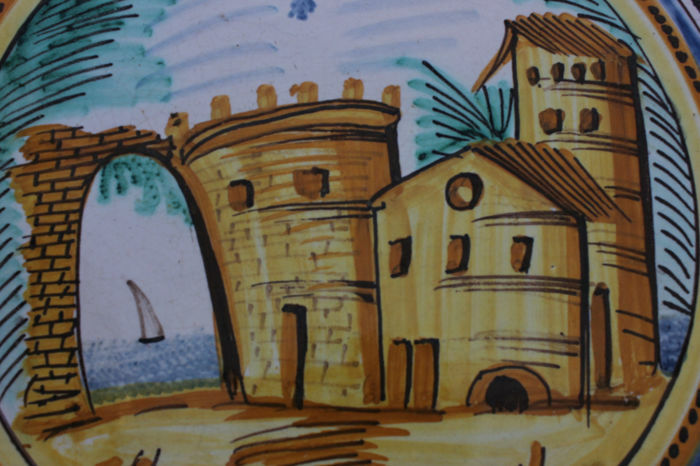 In the middle there are some ruins, while on the edge there are several birds posing. 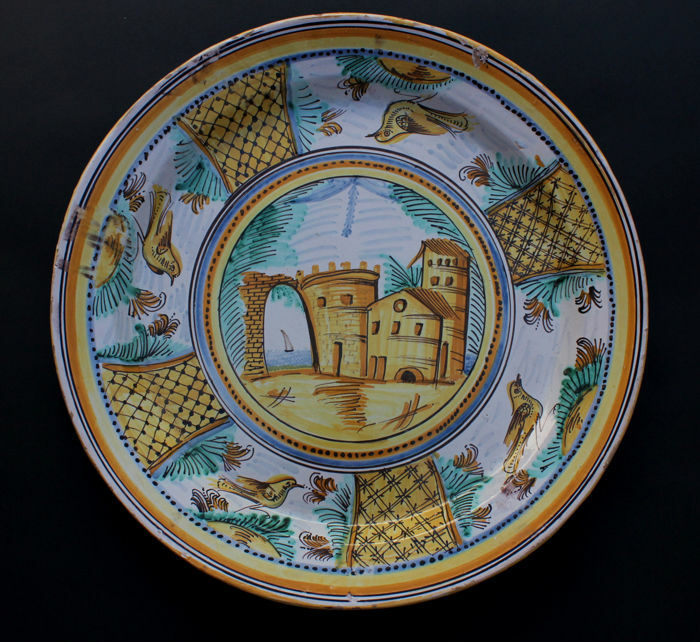 Made in Grottaglie at the beginning of the 19th century, it has ornamental motifs taken from the greatest Italian and international Mannerist painters, placed on the majolica in the shades of green and yellow.